The Vigilant Hose Company (VHC) in conjunction with the Brunswick Fire Department (BFD) are once again teaming up for a joint fundraising effort. 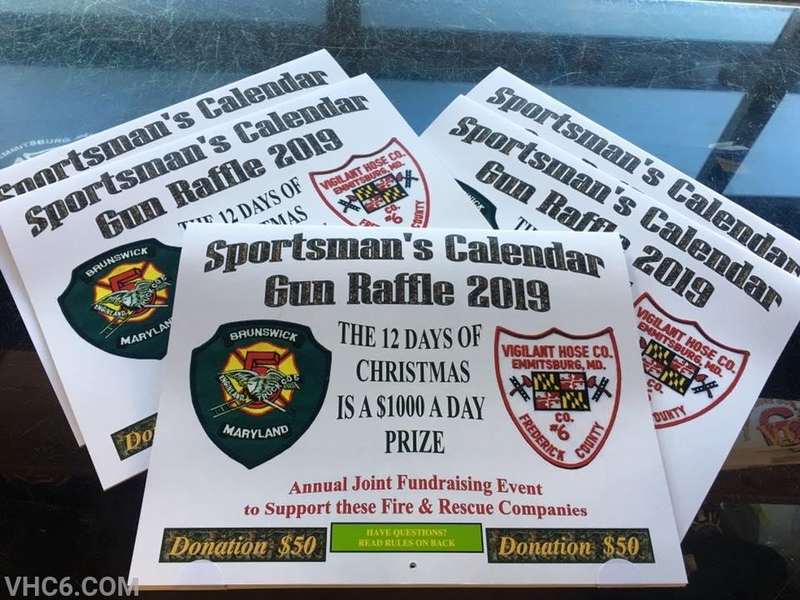 The 2019 Sportsman's Calendars are now on sale for $50 and are already starting to go quick. These ever-popular calendars offer a buyer 365 chances to win a listed firearm or cash daily. Each calendar contains two 4-digit numbers that if drawn during the regular evening Maryland Lottery (straight) you win for that day! The twelve days of Christmas are $1,000 cash prize days. With the holidays quickly approaching these calendars make popular gifts. Get yours today before it's too late!